For many years there has been a British Deaf History Society, but this has not included Scotland. In April 2008, an open meeting was organised by Scottish Council on Deafness (SCoD) to discuss this very issue. Over 50 people crowded the Deaf Connections Theatre (in Glasgow) and following presentations, it was decided to establish a Scottish society, which was later named Deaf History Scotland. A steering group of seven people was formed and their tasks were to draft a constitution, a membership structure and a programme of activities. The Steering Group met three times in Glasgow. They not only completed all their tasks, for they also ran a logo competition, commissioning a web developer to design and develop this new web site and made arrangements for an inaugural conference which took place at Deaf Connections in Glasgow on 25th October 2008.
john_hay_1The members of the Steering Group were: Margaret Aitken (Glasgow), Pam Bruce (Dundee), Michael Davis (Peebles), John Denerley (Dumfries), Harold Nicolson (Edinburgh), Vicky Paterson (Dundee) and Michael Sabbell (Stonehaven). Lilian Lawson, SCoD Director gave the secretariat support to the Steering Group. John and Gordon Hay of British Deaf History Society also attended the Steering Group meetings as advisers. 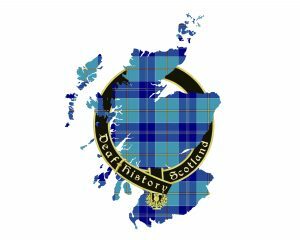 The Inaugural or First Conference was organised to celebrate both the establishment of the new organisation and the recognition of the importance of Scottish Deaf History. The new Constitution was approved and an interim Executive Committee was elected to serve for one year.